Following a Roundtable Discussion on Just Energy Transition: Renewable Energy Jobs that was held in October 2017, CPLO and Project 90×2030 continuously join efforts with an objective of building momentum on this topic. 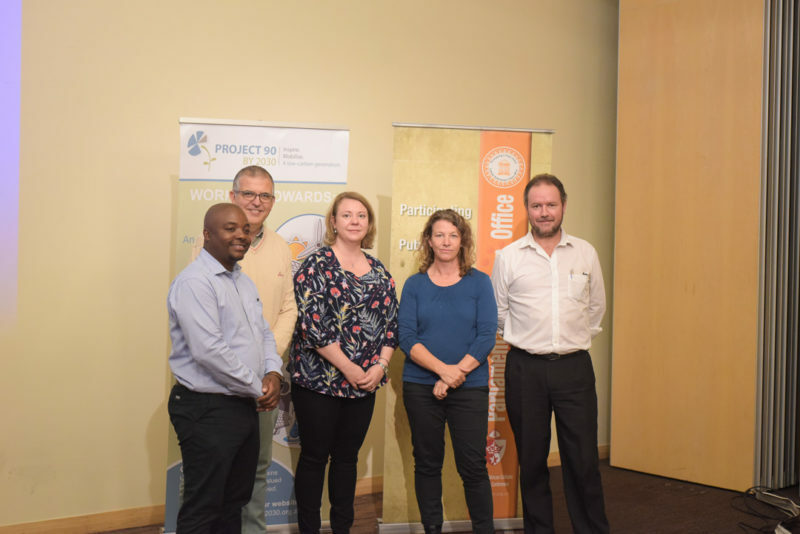 Amongst the speakers at this latest Roundtable, were Dr Neil Overy a freelance researcher; Ms Karien Erasmus of Promethium and Mr Thabo Sibeko of Erath life. To ensure that the conversation was directed, Ms Megan Euston-Brown of Sustainable Energy Africa was appointed to facilitate the discussion. Representatives from academia, civil society, business and the workers union formed part of the discussion, and offered different perspectives and expertise. This event provided a platform for engaging on socio-economic issues which form an intrinsic part of the anticipated Just Energy Transition (JET). This was alluded to as participants asked questions relating to: how as an adopted model, would JET fit into a South African context given the current system of governance which was described as being patriarchal; what are the implications in terms of infrastructural change for utilities such as Eskom as far as the transition is anticipated; what is the definition of community in this context; and if the model implies collaborative ownership by communities. The conversation was concluded with the acknowledgement that there is still a lot of work to be done in terms of research, investment and persuasion to gain politically in ensuring that this transition is fair and just. And most importantly in making sure that people are a greater part of the Just Energy Transition.